Looking for work can be difficult, and some potential employers might seem dismissive of people with disabilities. Remember, it’s against the law for employers to discriminate against you because of a disability. However, your potential employer may ask if you have a health condition or disability on an application form or in an interview; whether or not you disclose your disability is entirely up to you. If you do decide to make your potential employer aware of your disability, you would be entitled to reasonable adjustments during the interview. In which case, don’t hesitate to ask for a BSL interpreter, a loop system or other assistance. For additional practical advice on handling a job interview, check out the article entitled Top Interview tips for people with hearing impairments, which appears on the University of Salford Manchester’s Postgraduate Careers Blog. And to find out more about disclosing your disability, visit the Disability rights section of the GOV.UK website. Jobs can be part-time, full-time, temporary or permanent and coverage has recently been extended to include traineeships, supported internships, work trials and work academies. The scheme helps you overcome disability barriers by helping to pay for work related costs such as special aids or adaptations you might need at work, a support worker to help you do your job or help with travel if you have difficulties using public transport. Grants are for practical support that is over and above employers’ legal requirements to make reasonable adjustments. Access to Work grants are tailored to meet individual needs and are not means tested, so they don’t need to be paid back and don't affect other benefits. Access to Work grants provide funds towards the costs of equipment or travel to work. You may also be eligible for funding towards the cost of a Communication Professional or Language Service Professional for situations such as work meetings, job interviews and other situations. These specialists provide services like speech to text reporters, electronic note takers, sign language interpreters and other communication professionals. To book an accredited communications professional, visit the website for the National Registers of Communication Professionals. Visit the Access to Work section of GOV.UK to find out more about the programme in general. For specific information about eligibility, visit the Disability Grants site and read the Access to Work section. And to find out how to challenge an Access to Work claim, visit the DeafATW site. Finally, for help looking for a job, visit the Employment & Career Support section of the Deafplus.org website. If you lose your job or are about to lose your job, your disability should not be a factor. The Royal Association for Deaf People (RAD) offers Information, Advice and Guidance (IAG) services on employment (and other topics as well). 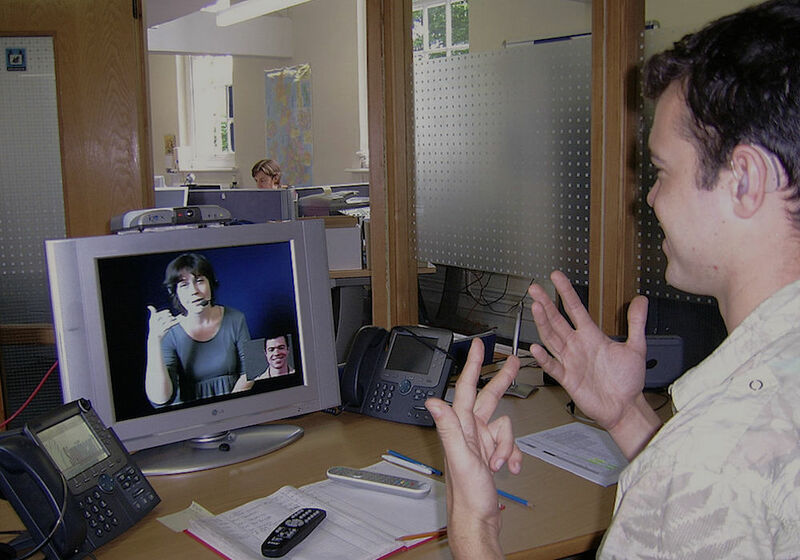 IAG services are delivered in sign language, and requests for assistance with job loss and support can be made by sending an email to referrals@royaldeaf.org.uk. Before your employer considers redundancy, they should go through a consultation process and take reasonable steps to include you. Your employer cannot select you for redundancy simply because you are disabled. They must go through a fair and balanced process that does not put you at a disadvantage because of your disability. To find out more, please visit the Redundancy section of the GOV.UK website. In the same way that employers cannot select you for redundancy due to your disability, they are unable to ask you to retire before you are legally required to do so. To find out about planning for your retirement, please visit the Retirement section of the GOV.UK website. Your employer is unable to dismiss you for reasons related to your disability. To find out more about being dismissed from your job, please visit the Dismissal section of the GOV.UK website. Under the Equality Act 2010, employees and job seekers with disabilities are legally protected against discrimination. From the initial recruitment process to promotion and pay along with accessibility in the workplace, it is vital that you are clear on your position and cover.